Day 3: Taiwan, November 30th, 2014. 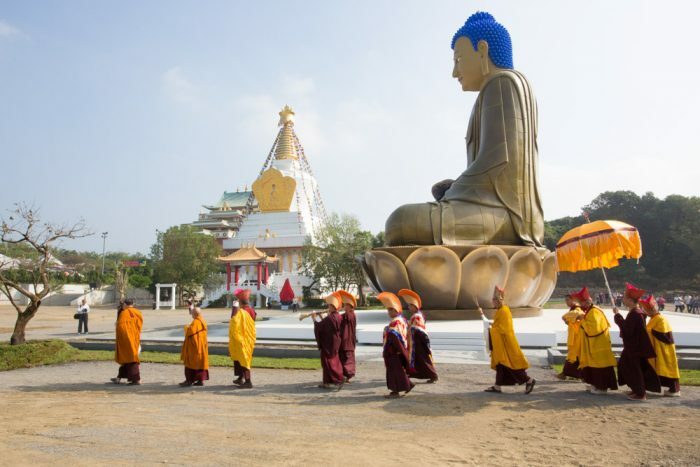 In the morning, relics from His Holiness Kunzig Shamar Rinpoche were enshrined. Several hundred people were in attendance. 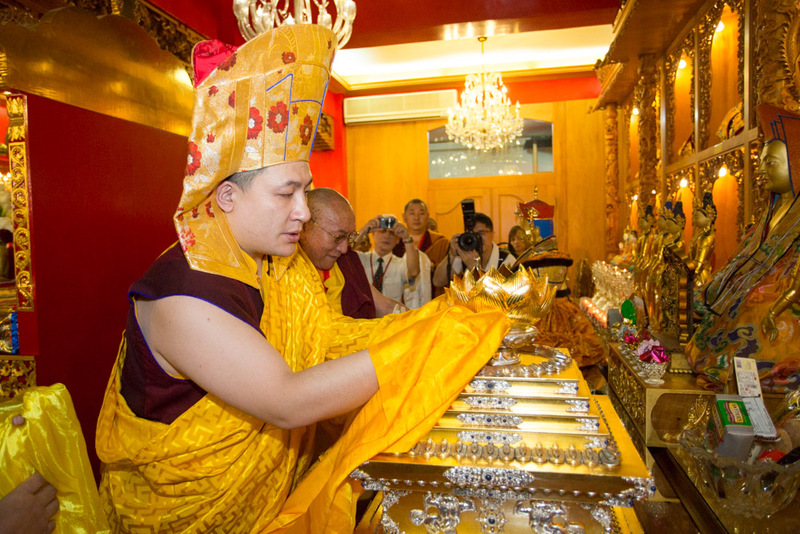 After being carried in a procession to the main temple of the Karma Kagyu Monastery, the relics were placed in a stupa in the Tathagatha Hall by Thaye Dorje, His Holiness the 17th Gyalwa Karmapa. Karmapa then led the assembled Rinpoches and lamas in prayers for the swift rebirth of his teacher, the 14th Shamar Rinpoche. Karmapa recently asked his students worldwide to also dedicate the merit of their practice to the swift rebirth of Shamar Rinpoche.